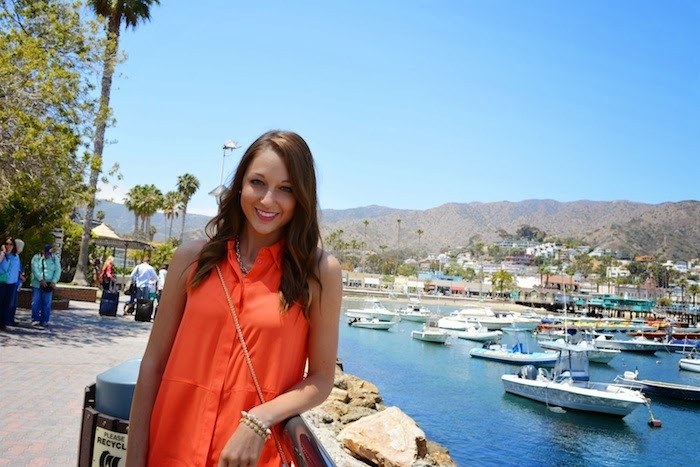 Love, Lenore: California Photo Diary. I had the opportunity to travel to California for a week to visit my cousins and grandparents as a sort of graduation gift! My own family used to live in the San Diego area before we moved to Missouri, but most of our family is still out there. The two photos directly above are with my cousins... The first is with the whole family (gorgeous, right?) and the second is with my twin cousins Angie and Abbie, who just graduated from high school. 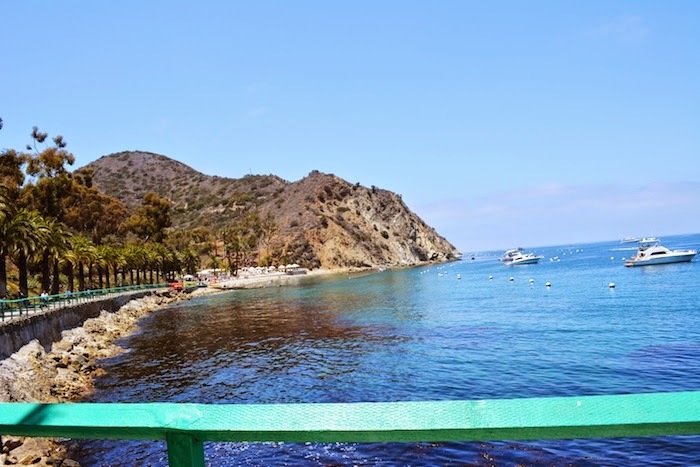 The 5 dreamy photos above were taken on Catalina Island, where I spent a day with my grandma! I'd never been there before, but it's about an hour boat ride off the California coast and it's the prettiest little escape. We were in the town of Avalon, which was so charming! You can see from some of my photos that there are the cutest colorful houses, old hotels and restaurants that rise up on the mountain behind the beach. I was also fascinated by the contrast between the beach, palm trees, and beautifully blue water versus the somewhat rugged mountain that rose up quite quickly. I loved having such a picturesque opportunity to use my brand new camera, which I received as a graduation gift from my parents (more on it at another time)! Great pictures–it's making me want the beach veryyyyy badly! Also, orange is definitely your color! Que maravilla de fotos!!!! Son absolutamente magníficas! Oh my goodness, your photos are stunning! 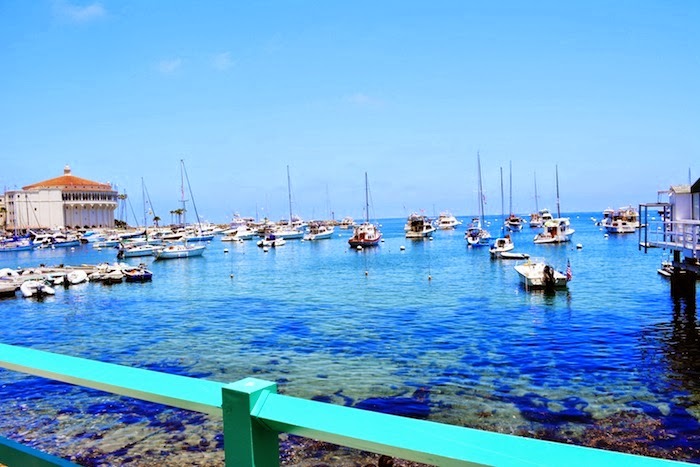 I knew Catalina Island was pretty but I didn't know it was that beautiful! 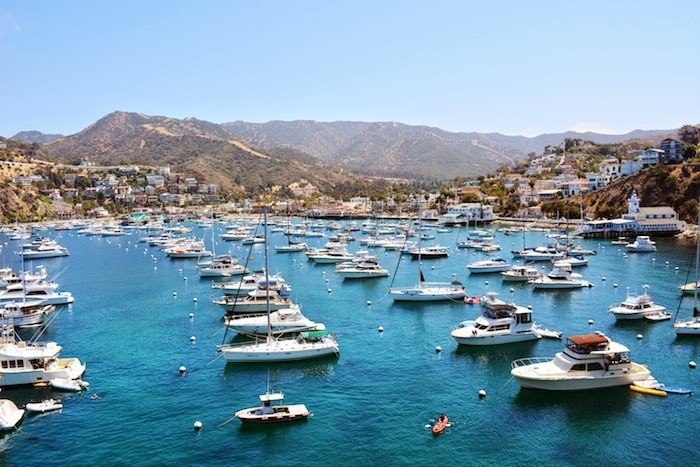 I'm definitely adding it to my list of places to visit on my California road trip! 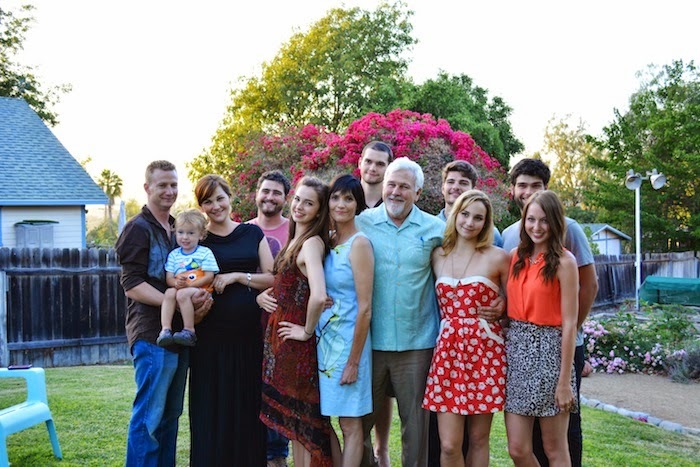 Girl you have such a good looking family! 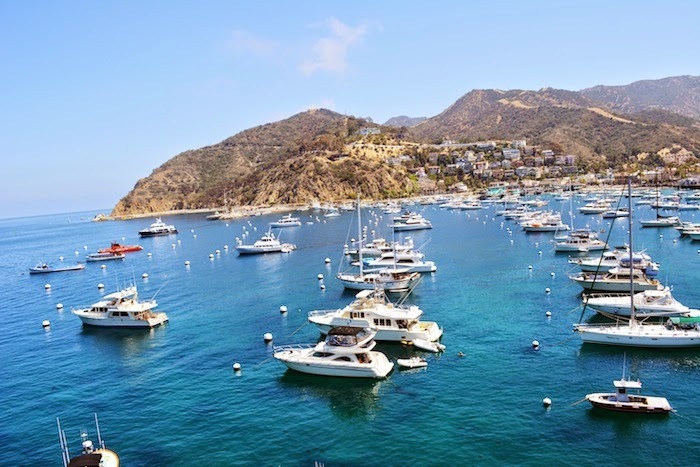 Such a cute post darling, thanks for sharing and am SO ADDING Catalina Island to my bucketlist. I mean, holy s*** is that water for real?